Home > How can you measure the value of a webpage? > How is Google PageRank different from Moz Page Authority? 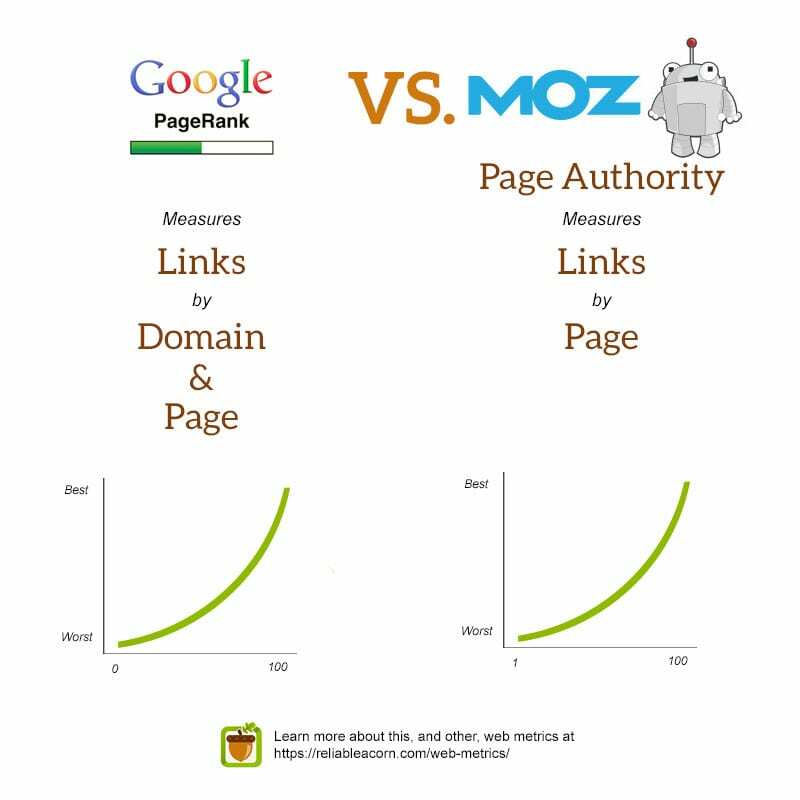 How is Google PageRank different from Moz Page Authority? While both Google’s PageRank and Moz’s Page Authority measure links as a factor behind the quality of a web page, there are a still a couple of differences. For one, PageRank can be applied to domains as well as individual pages, but Page Authority only applies to pages. In addition, PageRank is a number between 0 and 10 while Page Authority attempts to be more granular by providing a scale between 0 and 100. You have to bear in mind, however, that both are exponential so it is exponentially more difficult to move between one number and the next, consecutive value.